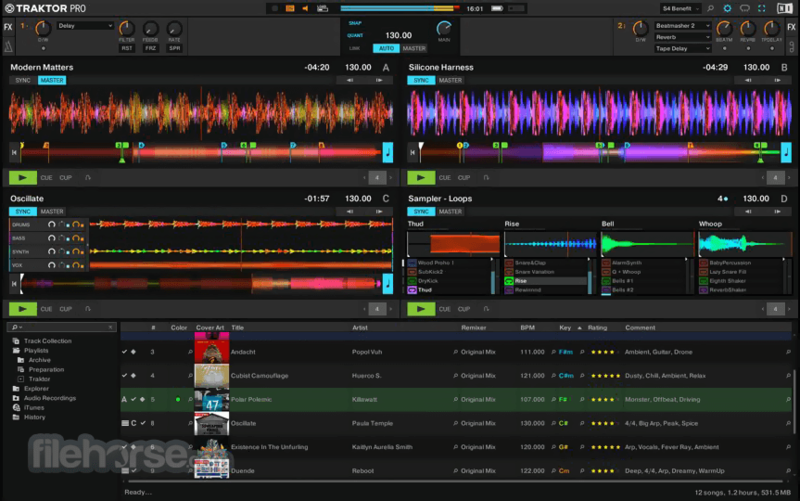 Traktor Pro is an integrated DJ mixer software with studio-quality EQs and filters, flexible performance effects, automatic beat-matching and intuitive control functions that accommodate DJs of all styles and experience levels. Download Traktor Offline Installer Setup for PC! 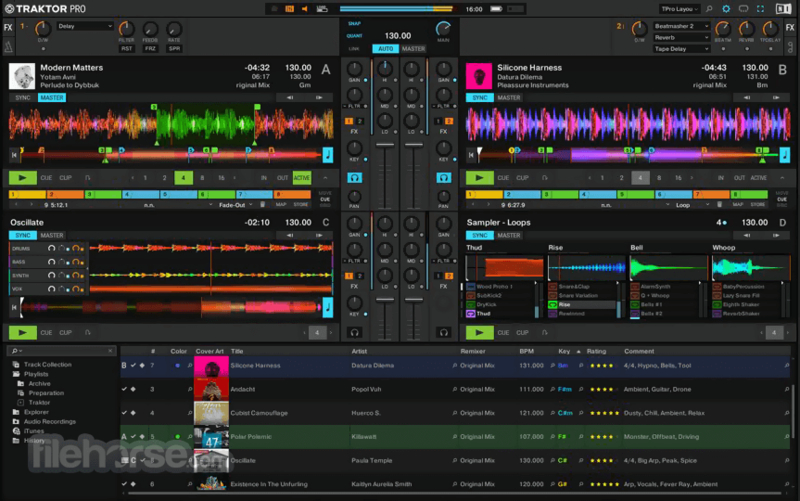 Traktor is the pro platform that top DJs trust, and Traktor Pro with Remix Deck technology is the most advanced version of Traktor ever. Perform your mix on up to four decks, featuring TruWave colored waveforms, powerful looping and cueing functionality and an exceptional effects suite. 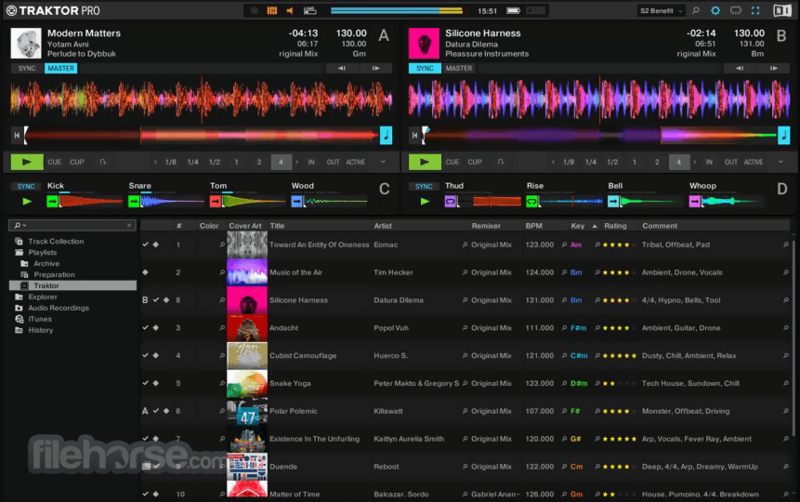 "Almost two decades ago, we created the first DJ software to truly conquer the club. Since then, it’s filled sound systems and dancefloors across the world, as well as house parties, bars, beaches, and everything in between. Now, with TRAKTOR PRO 3, we’ve built on that past to bring you new tools for sonic sculpting, our best sound quality ever, and our clearest interface to date – so you can play whatever you want, however you want, wherever you want." 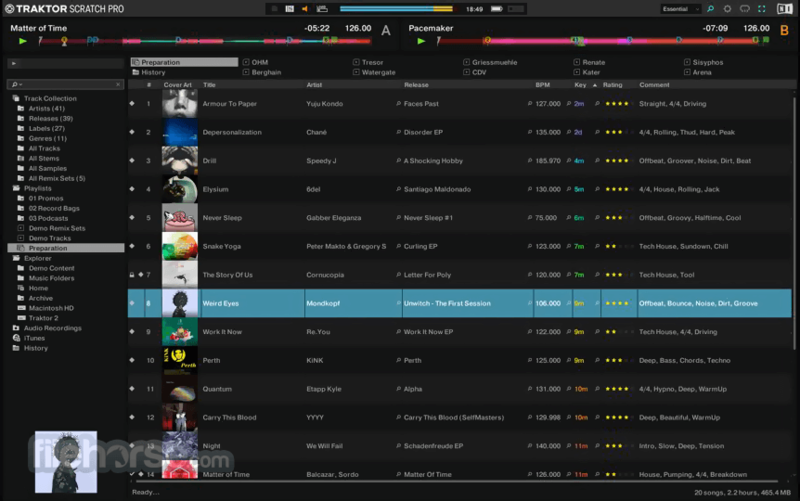 TRAKTOR SCRATCH is now included in TRAKTOR PRO 3, right out of the box. This means that DVS DJs using timecode vinyl can now use any soundcard they like, in addition to tried and tested, TRAKTOR SCRATCH Certified soundcards and mixers. So if there’s a model that does it for you, or if you’re playing back-to-back with somebody on a different setup, TRAKTOR 2019 latest can adapt. Note: Closes after 30 minutes, but can then be reopened to try again.